AVANTIS is the first German-Dutch business park located directly on the border between Aachen and Heerlen and right at the centre of the European market. Times change. The economy changes. Future-proof locations have to do justice to these changes. This also applies to AVANTIS. And the cities of Aachen and Heerlen understand this. A new land-use plan with a broad range of implementation and development options for companies has opened new opportunities since the middle of 2013. So everything is new? No. There is still a strong argument for distribution companies who work all over Europe to set up premises in this location due to its outstanding logistical connection across the heart of Europe. Now, though, the setting up process has been significantly simplified. The close proximity to RWTH AACHEN and the largest European research campus is still an incentive for technology companies and university spin-offs; the conditions, now, are much better. 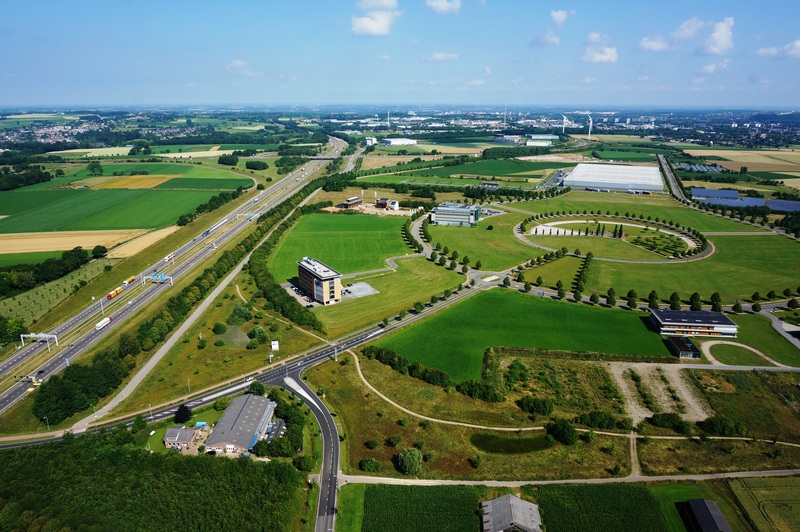 The conditions for knowledge workers are ideal due to the location amidst greenery, a fascinating variety of residential housing in urban or countryside settings in two nations, and an active business community on site. The affordable commercial sites are, however, also attractive alternatives for small and medium-sized trade and manufacturing businesses, who want to develop new opportunities in an attractive location. Get to know the new AVANTIS and discover which opportunities are available to your company.